When it’s time to replace the garage door on your Haslet, Texas, home, you need the assistance of the experts at 31-W Insulation to help you through the maze of available options. 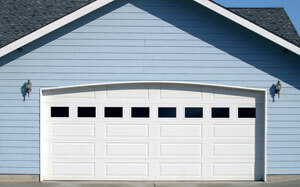 Long gone are the days of character-less, cookie-cutter garage doors. Today, we offer doors that can be customized to reflect your design sensibilities, suit your energy efficiency and maintenance requirements, and perfectly complement your home. Our doors are available with a variety of insulation options. If you use your garage as an office you probably require maximum energy efficiency and sound-proofing; however, if you only use your garage to park your car, your insulation requirements in that room may be minimal. Whatever your needs may be, we have the options sure to suit your situation. We offer doors crafted by one of the finest manufacturers of garage doors in the country, which means you’ll find 14 residential product lines available in steel, vinyl, aluminum, or wood construction. Designs run the gamut from contemporary to traditional, with numerous customizable elements available such as windows, light panels, decorative hardware, and more. Whatever style you choose, you want a garage door that is safe to use, and Amarr® doors feature flush-mount hinges and tamper-resistant brackets for added safety during operation. To learn more about the many options available when you purchase a garage door for your Haslet, TX, home from 31-W Insulation, contact us today.